Fishbowl’s expert consulting team provides a broad range of services for Google Cloud Search. Whether you just want a little help getting started or you need a partner for a wide-scale search project, we’re here to help. 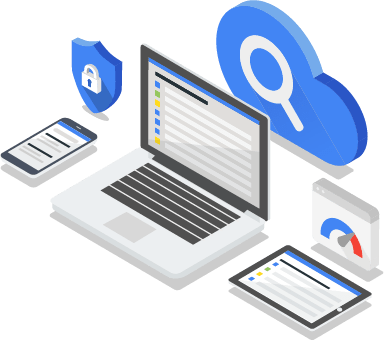 Fishbowl Solutions is a Google Cloud Partner specializing in Google Cloud Search. We were among a small group of partners who received early-access to pre-release versions of Cloud Search. We work directly with Google to understand new features, troubleshoot issues, and share best practices so you can get the most out of your search experience. In addition to consulting services we also provide Cloud Search connectors and resale. You can rest assured you’re working with a team who knows Cloud Search. Inside and out. We know every customer has different search requirements. Each project calls for a unique understanding of both your environment and enterprise search best practices. Our team will listen to your needs and help solve your specific search challenges efficiently. We also offer training and support packages to help you manage Cloud Search after the initial roll-out is complete.